Set up your source folder. Even though Sharegate was primarily designed for SharePoint to SharePoint migrations, it also supports importing from network drives, file shares and file systems. Where Do You Start Your OneDrive Migration? You can simply download it to your machine by clicking on Download Google Drive located in the settings menu or from the Install on your machine icon on the left, depending on the version of Google Drive you are using. Once you have clicked on the download button, the installer will be downloaded to your machine. Once the process is completed, you can simply open it so the installation can begin. After Google Drive has been installed, enter your credentials to synchronize it with your account. The first thing to do here is to download Sharegate. 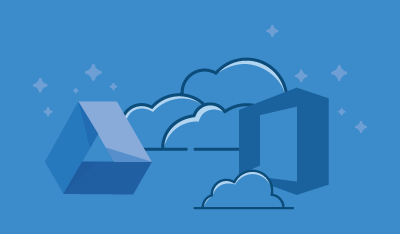 Next, migrating from Google Drive to OneDrive in Office 365 is super easy. The Import is a breeze: once in the Sharegate, click the migration tab on the left, select Import to SharePoint and connect to the desired destination site. Then, select the destination library or the location where you want to copy the content. Once the destination has been chosen, simply select the desired content to be imported while keeping the original authors and timestamps. As you can see, it is a very simple process. The great thing is that any end user can run this operation as long as he has full control over the destination library. Alternatively, you can automate the import process by using the Sharegate Migration Shell. You would only need to specify the source folder location and the destination site. You will find additional information on this option along with the different commands in the Powershell section of our Documentation. Finally, do not worry about your PowerShell script. I will gladly review it before you start your migration. You can simply send it to support@sharegate.com or paste it in the comment section below. I hope this will help you on your journey to the cloud! For more details, be sure to take a look at what Sharegate can do for you in terms of helping with your migration to Office 365.